Civil rights, human rights and environmental activist Barbara Tutor passed away in Berkeley Springs, West Virginia. She was 86. Tutor was born in Tupelo, Mississippi and became a civil rights activist in the south. She went on to get a masters degree in business administration from Loyola University in Baltimore, Maryland before joining IBM as one of its first women executives. Tutor became one of the pioneering women at the forefront of the computer revolution in the 1960s and 1970s. Tutor later worked at the Library of Congress and then at the New York Public Library developing and applying software to translate books into braille for the blind. Just last week, Tutor completed Pearl’s Way, a book about her life and work named after her mother Pearl Welch. Tutor and her two children built a cabin in 1981 on land she purchased on the banks of Sleepy Creek in eastern Morgan County. When she retired in 1987 she stayed in the cabin while she built her house on the same property. Tutor worked for a time at U.S. Silica. 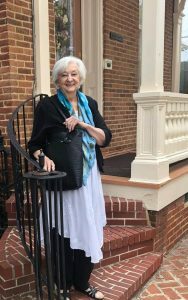 In Morgan County, Tutor was known for her civic and environmental activism. In 2002, she ran on the Mountain Party ticket for the West Virginia House of Delegates, but lost to the then incumbent Charles Trump. She ran for Morgan County Commissioner in 2010 but lost in the May Democratic primary that year to Todd Farris. During the campaign, Tutor advocated a conservative rural zoning ordinance. In recent months, she has been active in the campaign against the TransCanada fracked gas pipeline. That pipeline was stopped in its tracks earlier this month by the Maryland Board of Public Works. More than twenty years ago, Tutor advocated against the proposed four lane bypass around Berkeley Springs. The bypass was eventually defeated. In a May 2018 letter to the Morgan Messenger, titled “Same Design, Same Problems,” Tutor weighed in against the new bypass. “The new US 522 design is the same design rejected by many citizens of Morgan County years ago,” she wrote. She was involved with protecting Sleepy Creek and the Sleepy Creek watershed. Her family asks that in lieu of flowers donations be made to the Sleepy Creek Watershed Association. Tutor is survived by two brothers, Mike Welch and Carl Whitenton, one sister, Geraldine Scardino, her daughter Regina Gorsuch and her son David Kuebler, seven grandchildren, and many great grandchildren nieces and nephews. 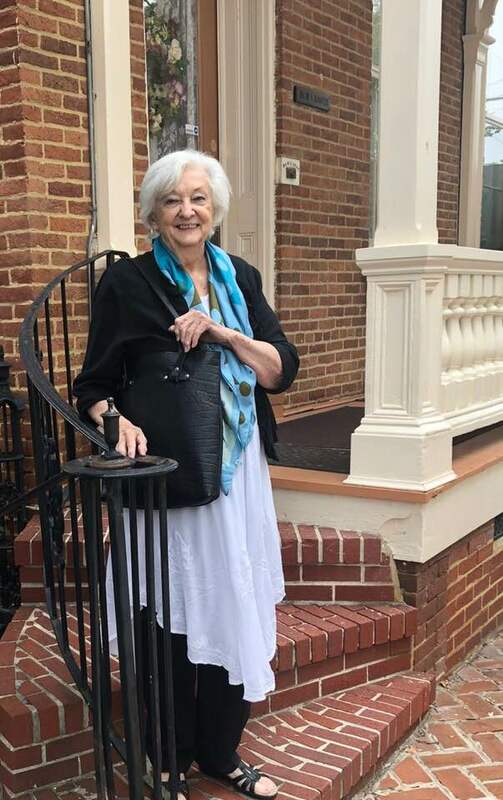 There will be a celebration of the life of Barbara Tutor at 2 pm on Sunday February 10, 2019 at Ravenwood Pub, 206 Martinsburg Road, Berkeley Springs, West Virginia.